Ormiston Denes Academy is one of Suffolk’s leading co-educational secondary schools, situated in the coastal town of Lowestoft, about 110 miles north-east of London. The most easterly secondary school in the United Kingdom, it lies just 22 miles south-east of Norwich, and has a train route to London Liverpool Street via Ipswich which is 50 miles to the south. The academy is located on the A47, centrally within the catchment area and just over a mile from the centre of Lowestoft. The grounds include a sports centre which serves a focal point for the community. Located in the historic parish of St Margaret’s, the academy’s history dates back to 1910 when it was founded as a replacement for a secondary fee-paying day school established in 1904. Built by Brown and Kerr its main building is a Grade II listed building with a Queen Anne façade. The school was originally designed to accommodate 320 pupils with the site comprising eleven acres, of which seven were playing fields. For the first nine years the school was called the Lowestoft Municipal Secondary School and its aim was to provide a ‘sound education for boys and girls between the ages of 10 and 18’. In 1914 the first school magazine, The Lowestoftian was published, detailing the events of the school. Although it has seen many changes over time The Lowestoftian continues to be published to this day. From 1920 the school was renamed the Lowestoft Secondary School before becoming known as Lowestoft Grammar School from 1945 under the changes of the 1944 Butler Education Act. In June 1940, soon after the start of the Second World War and as a result of the danger from air raids on Lowestoft, 327 pupils together with the Head Master and 21 members of staff were evacuated to Worksop. The return to Lowestoft commenced in 1943 with eventually all returning by July 1944. After the end of the war there was a population boom, which caused a rapid rise in the number of pupils attending the school. This necessitated a utilitarian building programme in order to accommodate the new pupils. This expansion of the school buildings continued intermittently for the next 30 years. The school became a comprehensive in 1971 and was renamed The Denes High School. In September 2004 it was designated by the Department for Education and Skills as a specialist centre for business and enterprise. In September 2011 the age range changed from 13–18 to 11–16 as part of the reorganisation of all schools in the area. 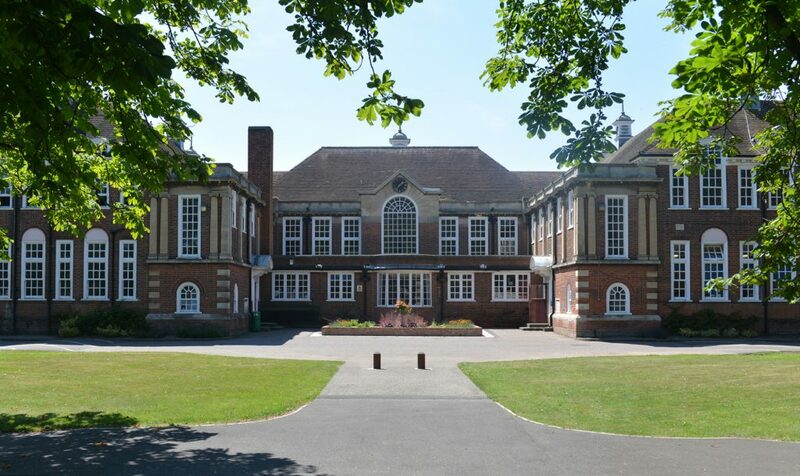 Students in years 7 and 8 joined the school after the closure of eight middle schools in Lowestoft and the opening of Lowestoft Sixth Form meant that the Lowestoft sixth form consortium, which had operated as a shared sixth form between the high schools in the town, was dissolved. As a result of these changes and the consolidation of other local providers, Ormiston Denes Academy is now the largest secondary school in the area with approximately 1,000 students on role, primarily feeding into the school from one of the eleven primary schools in north Lowestoft. In 2013 the school joined Ormiston Academies Trust, converting to academy status and into its present form as Ormiston Denes Academy. Under new leadership from September 2016 the academy recently celebrated the highest ever student outcomes in its history, confirming its position as the top performing secondary academy in north Lowestoft, alongside its established reputation as a centre for sporting and creative excellence.